Home Tags Articles tagged with "death"
The family of Max Schrader announced today that the missing Mobile man has been found deceased. 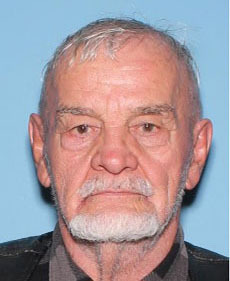 Schrader, 84, had been missing since April 3 and his vehicle was found in the desert April 9. Family and volunteers had been combing the area between Mobile and Rainbow Valley each day. No information has yet been released regarding where his body was found or a cause of death. The family sent thanks to all who helped or showed their support during a difficult week. A 21-year-old man died from injuries suffered in a collision between the motorcycle he was riding and a pickup truck at Maricopa/Casa Grande Highway and Maricopa Groves Parkway shortly before 6:30 p.m. Thursday. Maricopa Police Department identified Charles Helton, 21, as the motorcyclist. According to MPD, he was flown to Chandler Regional Medical Center in critical condition, where he later died. Alverado said officers are still planning to re-examine the scene and speak with witnesses to determine the cause of the crash. He said the pickup was turning westbound onto the Maricopa/Casa Grande Highway from Maricopa Groves Parkway. Police believe Helton was traveling westbound on the highway at the time and the two collided near the intersection. The Maricopa/Casa Grande Highway was closed from Plainview Street to Maricopa Groves for much of the night. The crash remains under investigation and more information will be provided when it becomes available. 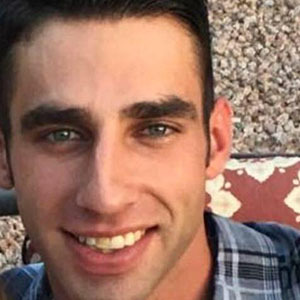 Joseph Schott, whose mother Sue Ball lives in Maricopa, was killed in Phoenix Friday. A grieving mother is hoping the driver who killed her son in a hit-and-run accident in Phoenix last week will come forward to authorities. Her 27-year-old son, Joseph N. Schott, was crossing mid-block near the intersection of 35th and Dunlap avenues July 20 at approximately 10:30 p.m. when police said a vehicle struck him and fled the scene. Ball said investigators with the Phoenix Police Department are working to find the suspect they believe was likely driving a white 2001-05 model Mercedes Benz C320. Tips can be called into Phoenix Police Department or Silent Witness at 480-948-6377. Schott was a hard-working electrician who wore his heart on his sleeve, according to family. He loved baseball and music, but nothing compared to the love he had for his family. “He was just a great kid always looking out for his sisters and me,” Ball said. The horrific news reached Ball the day after the accident as she shopped inside Maricopa’s Ross retail store on opening day. The voice on the other line was her ex-husband Sam with the terrible information about their son. Ball, blinded by tears and shock, exited the store and fell to the ground. It was how the community reacted next that propelled her to publish a post on social media Thursday morning thanking total strangers. “I remember seeing a lady that must have had some kind of trouble walking because I remember seeing a cane, and her arm reaching down, and she was able to pull me up,” Ball said. People she didn’t know surrounded and hugged her. Store managers escorted Ball to a back office where an employee offered to help place a call to a family member to pick her up. That employee was Sharolyn Winn, manager of a Gilbert Ross location who was assisting new staff during the opening. “I have a child myself, and when I saw her and she said her son was killed, my heart was breaking and I’ve been thinking about her every day since then,” said Winn, who stayed and comforted Ball until her family arrived. The outpouring of compassion has touched the family, Ball said. Acts of kindness have grown to include meal trains and a GoFundMe account to assist in memorial costs. “There’s been an overabundance of love and support,” said Schott’s step-father Jeff Ball. 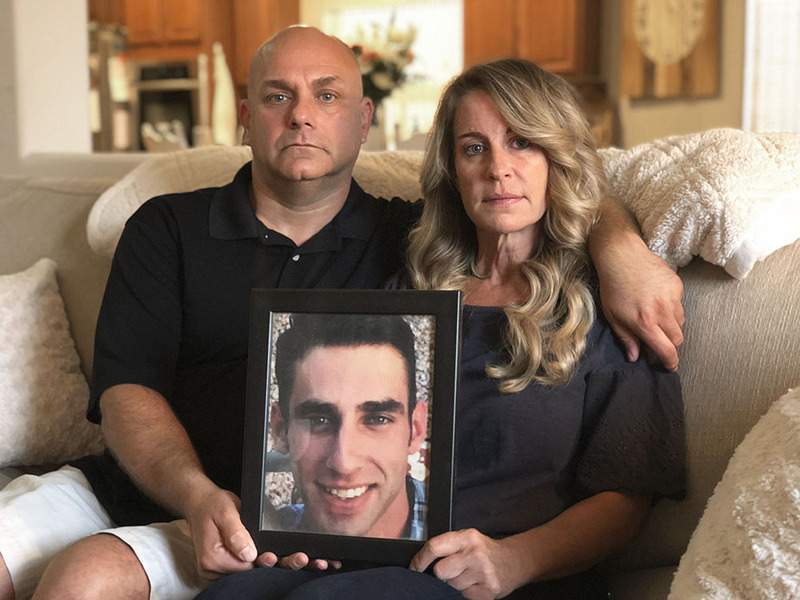 A responsibility she never thought she’d have, Ball is now arranging her son’s celebration of life – while awaiting the day justice is served. Maricopa Police Department has identified the man who was shot to death at a home in Rancho El Dorado on Friday but cannot release the name publicly until next of kin is notified. Finding those relatives in the Midwest has been difficult, according to MPD spokesman Ricardo Alvarado. Police are also looking for information on a white minivan that witnesses saw at the house around the time of the shooting. The minivan may or may not be related to the incident, but police want to hear from anyone who may know the identity of the owner or the whereabouts of the van. If the minivan is related to the shooting, the owner could face charges. No license plate number is available. The incident was first reported to MPD around 2 p.m. Friday when witnesses described three shots being fired in the home on Sagebrush Trail. A man’s body was found in the garage. The medical examiner’s office transported the body Friday night and a positive identification was made. Anyone with information on the white minivan is asked to call MPD on its non-emergency line: 520-568-3673.